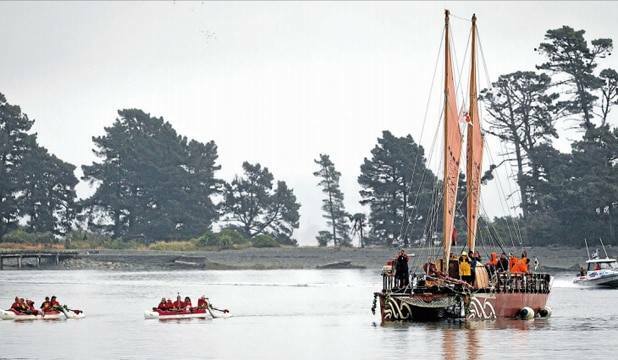 The Haunui, a sailing ship built using traditional Polynesian principles and materials, is about to set out from Auckland to Norfolk Island. The vaka's journey should reminds us that Polynesians discovered, settled, and abandoned the island we today call, in place of its original, lost name, Norfolk, leaving behind shards of obsidian from Aotearoa and the Kermadecs. Where did the discoverers of Norfolk go? Is it possible that they sailed west, and encountered an island of incomprehensible size, with an ancient civilisation? Scholars have discovered a lot of evidence for Polynesian visits to the Americas in recent years, but they have perhaps neglected Australia. Ninety years ago an ethnologist from Sydney museum visited an uninhabited section of the New South Wales coast. He was looking for Aboriginal artefacts; he found a Polynesian adze. WW Thorpe's report has been forgotten for too long. Looking For RRB Result for Group D, ALP and RPF? Look no more. Here, we are, providing the all RRB Result, may it be Group D, ALP, and RPF right, at one place at railwayresult.in. So, keep yourself updated with RRB Result. One of the very important posts. Thank you for making this web site, and I will be visiting again. It is really resourceful website with great content. Well I have also collected some article hope you go through it. All article for Bangladesh Education Board result. Bangladeshi Junior school students can learn about JSC Exam Result 2018 Publish Date. And they can collect their all education board JSC Result 2018 by sms by their mobile. They can also check their JSC Result 2018 Online from the official website. Thanks again.